Recent advances in mobile and wireless communication and personal computer technology have created a new paradigm for information processing. Today, mobile and wireless communications exit in many forms, providing different types of services. Existing forms of mobile and wireless communications continue to experience rapid growth and new applications and approaches are being spawned at an increasing rate. Recently, the mobile and wireless Internet has become one of the most important issues in the telecommunications arena. The development of the mobile and wireless Internet is the evolution of several different technologies coming together to make the Internet more accessible. Technologies such as the Internet, wireless networks, and mobile computing have merged to form the mobile and wireless Internet. The mobile and wireless Internet extends traditional Internet and World Wide Web services to wireless devices such as cellular phones, Personal Digital Assistants (PDAs) and notebooks. Mobile and wireless Internet c:an give users access to personalized information anytime and anywhere they need it, and thus empower them to make decisions more quickly, and bring them closer to friends, family, and work colleagues. 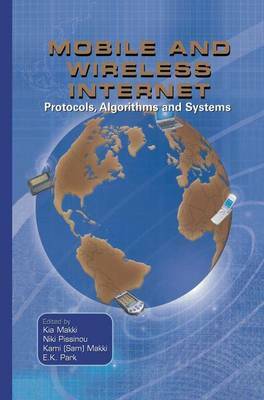 Wireless data communication methods have been around for sometime.